Marijuana Regulation a Scary Chaotic Mess? Medical marijuana use is legal in many states—despite federal drug laws that still make it a Drug Enforcement Agency Schedule 1 controlled substance and a paucity of research showing cannabis has any benefits for users beyond getting high. “Can we put the genie back in the bottle?,” Bonnie asked, speaking at the group’s 2016 annual meeting in Atlanta, GA. The state of Colorado legalized recreational marijuana in 2014 and other jurisdictions have followed. Twenty states have decriminalized possession of small amounts of cannabis. The federal Controlled Substances Act that made marijuana a schedule 1 drug would have to be rewritten before the federal government can either regulate “responsible use” of cannabis, or allow the states to legally do so. “But Congress is incapable of doing anything,” Bonnie said. Bonnie’s analysis was filled with dire warnings about the consequences of legalized marijuana for public health. 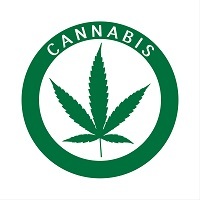 There is as yet sparse evidence if any that cannabis has any medical value, he said, despite the public’s enthusiasm. “Medical marijuana has been a Trojan horse,” he said, a way for those who would profit from recreational use sales to get into the game by promoting the herb as having healing powers. There are already several studies on potential dangers of recreational use in Colorado starting to emerge, he noted. Emergency department visits related to cannabis are up—including pediatric poisonings caused by children accidentally eating cannabis-laced sweets. One 2015 study showed nearly a third (30%) of young adults in Colorado reported using marijuana in the past 30 days as did 12% of teenagers. Looking at the issue another way, he said, no one seems to have done any research on the impact of long-term heavy use. “Jamaica is a chronic heavy user,” Bonnie said, asking where the research on the consequences for public health in Jamaica might be. Even the most enthusiastic backers of legalization of cannabis agree it should be regulated, Bonnie said. “There are no regulatory models for a drug that will have significant adverse public health consequences,” he said. Using the regulation of alcohol and tobacco as a model would be a mistake, he added. That is particularly true when it comes to allowing cannabis vendors to advertise and market their products. He noted that some likely marketable names like “Maui Wowie” and “Acapulco Gold” have already been trademarked. A better solution might have been to allow only personal cultivation, or government marijuana growing and sales, he suggested. Proceeding without restrictions on marketing could mean that as marijuana use becomes more widespread and, as is likely, he believes, the deleterious effects on health become known, the government will have to do what it did with alcohol and tobacco, pass laws requiring warnings and restricting advertising and marketing. Bonnie said he believes the states should get involved in regulating marijuana, a process that he said could start only if Congress rewrites the Controlled Substances Act.